Strike with powerful pump-action blasting to unleash 2 darts at once with the Nerf N-Strike MEGA TwinShock blaster! 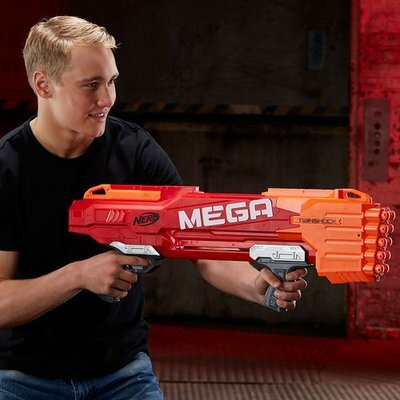 With 3 ways to blast, battlers can optimize their strategy for each battle. 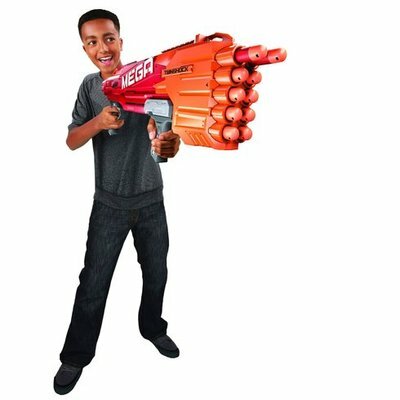 Fire one dart at a time, double-blast opponents by firing 2 darts at once, or unleash all 10 darts rapidly with slam-fire action. 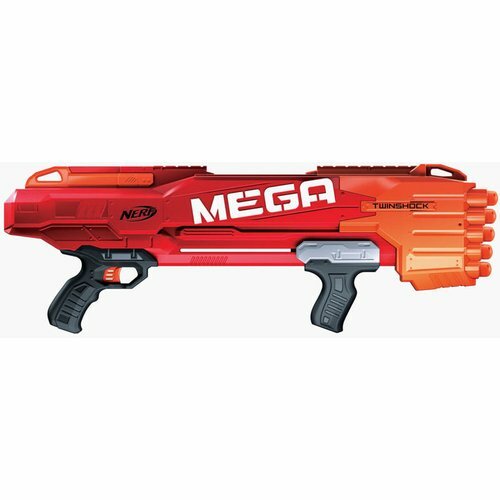 The pump-action blaster holds up to 10 Nerf MEGA darts that scream through air up to 26 meters. 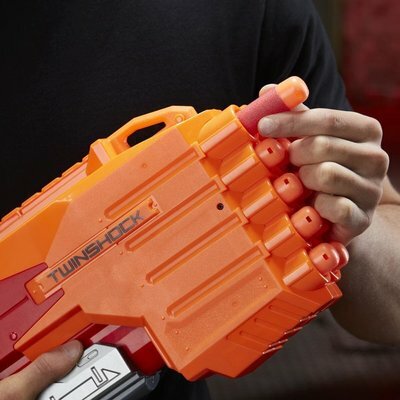 Blast into battle with the power of the Nerf N-Strike MEGA TwinShock blaster!